Batangas has long been associated with weekend beach getaways. With its proximity to Metro Manila, the province has always been one of the go-to places for people looking for a quick escape from the grind of the daily city life. But there’s something more to this province south of Manila than crowded beaches. Delve deeper and rediscover a luxurious side to Batangas, something you can easily do with a day tour, and without breaking the bank. Here are five day trips you can do in Batangas. You don’t even need to plan too far ahead, you can purchase these best-priced deals instantly via Deal Grocer, then call the hotel to secure your booking dates. No worry, no fuss—just a relaxing, luxurious, and hassle-free weekend getaway to someplace new. Camp Netanya Resort & Spa in Anilao offers day-trippers a chance to visit Santorini without actually flying to Greece. Their Mediterranean-inspired cliff-side resort faces the sea and features the iconic blue and white architecture Santorini is known for. A day tour includes lunch, a swim at the infinity pool, use of kayak and snorkeling gear, and an Island Experience Tour. If you’re feeling adventurous, you can even trek the nearby Mount Gulugod Baboy. Come in a group of four and you can avail of an air-conditioned room where you can relax in-between activities, absolutely free. To complement your day tour at Camp Netanya in Anilao, suit up and don your fins for a fun introductory dive at Anilao’s famous marine sanctuary. The area is located right in the center of the coral triangle, the global center of marine biodiversity in the world. Headed by their partner, Blue Paradive Center, the package includes lunch, use of diving gear, snorkeling gear, and kayak. Ever wanted to go to Bali but don’t have the moolah to shell out for flights? Cintai Corito's Garden in Balete offers the full Balinese experience without burning a hole in your wallet. The Balinese-themed resort features architecture similar to those found in the Island of the Gods, complemented by hand-carved statues, stone walls, and lush sprawling gardens. As a bonus, the whole place is also a roaming ground for alpacas, mini horses, spotted deer, and donkeys. A day tour includes lunch, afternoon snacks, and use of resort facilities, including their four swimming pools. The harried metro life can take its toll on anyone. Visit The Farm at San Benito to rejuvenate your senses. The multi-awarded holistic wellness destination in Lipa City is nestled on more than a hundred acres of green land right at the foot of Mount Malarayat. Avail of their day trip and enjoy the luxury afforded to celebrities who frequent the resort—take yoga and other fitness classes, or learn about qigong, meditation, food preparation, and mandala flower arrangement. After the three-course lunch or dinner, guests can enjoy a refreshing stroll around the resort (see if you can spot the secret waterfalls! ), plus exclusive use of their pools and meditation lounge. But the best part of the tour is the complimentary sixty-minute treatment where you can choose from a Relaxation Massage, Acqua Lymphatic Therapy, or Medical Consultation with Live Blood Analysis. This fourteen-hectare resort in Talisay, Club Balai Isabel, is located right on the fringes of Taal Lake and is the perfect place for an ultra-chill weekend. Day trippers are welcome to take a dip in their infinity pool overlooking the Taal Volcano and the 500-square meter Kumintang Pool. Free access to the Aqua Park—an obstacle-laden inflatable waterpark along the lake—is also included. For sports enthusiasts, there are billiard tables and basketball, tennis, and volleyball courts. 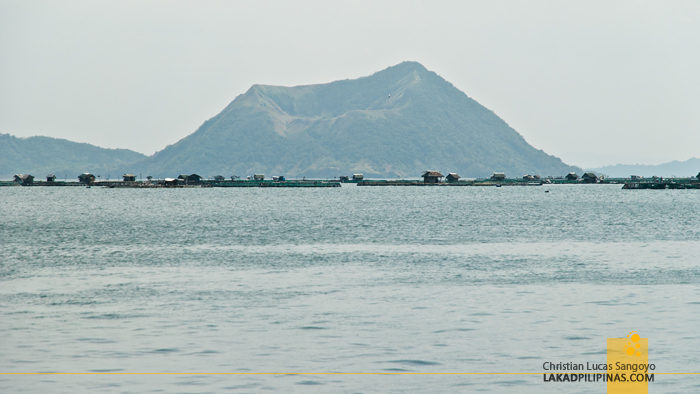 And if you’ve still got energy to spare, you can even take a boat ride and hike up to the caldera of Taal itself. We often assume that DIY travel is cheaper than packaged tours. But this isn’t true when it comes to Deal Grocer. By partnering with more than 500 of the the best resorts, clubs, wellness centers, and lifestyle establishments around the Philippines, they are able to offer the best prices and most exclusive deals to their members—plus the convenience of having everything from accommodation options to day tour choices right at your fingertips. And membership is absolutely free of charge. Head on over to Deal Grocer to sign up now. Welcome, enjoy your Batangas trip!